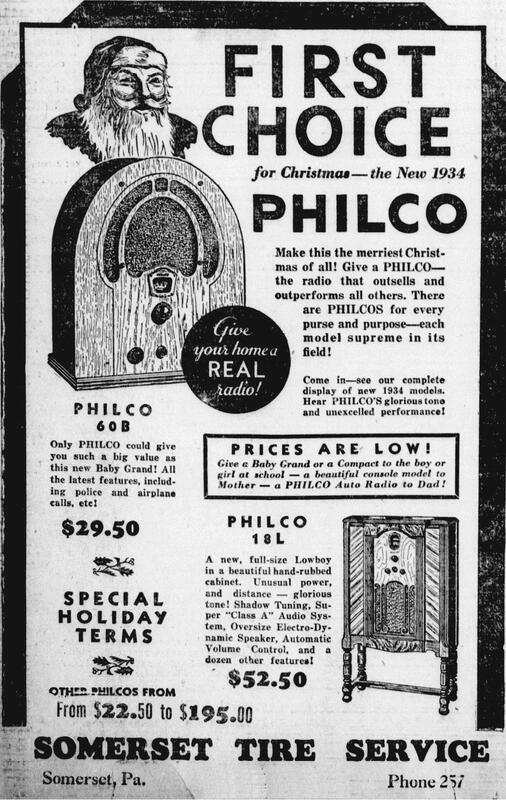 Christmas this had been increased to $29.50. 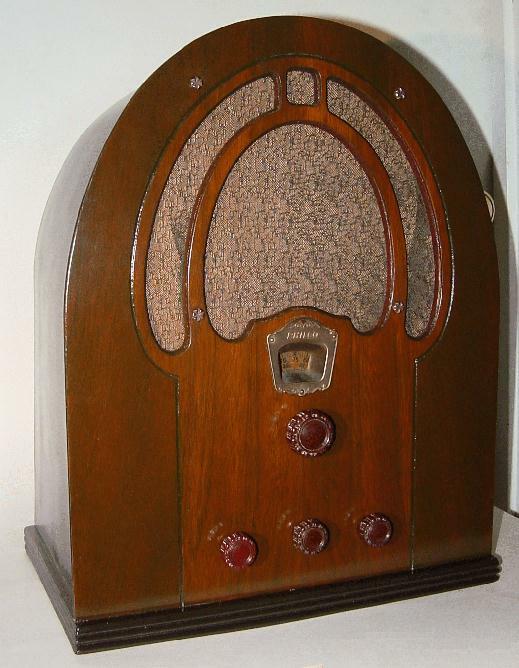 used a rosette as seen in my photo, top right. 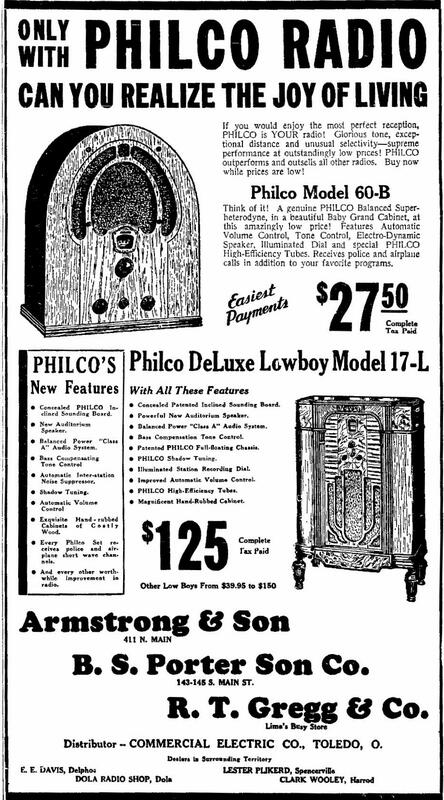 See my Model 60 Lineage page to see how this model evolved. 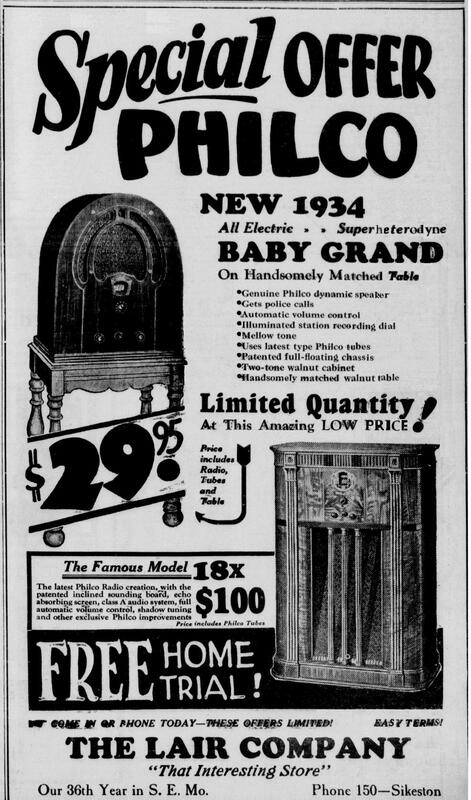 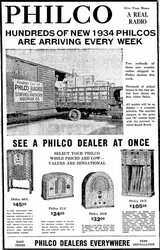 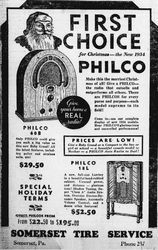 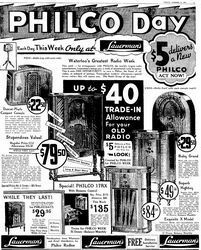 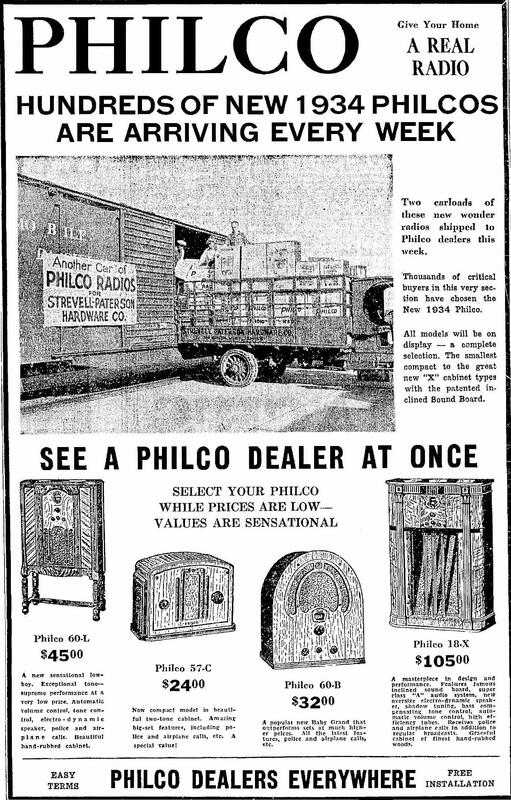 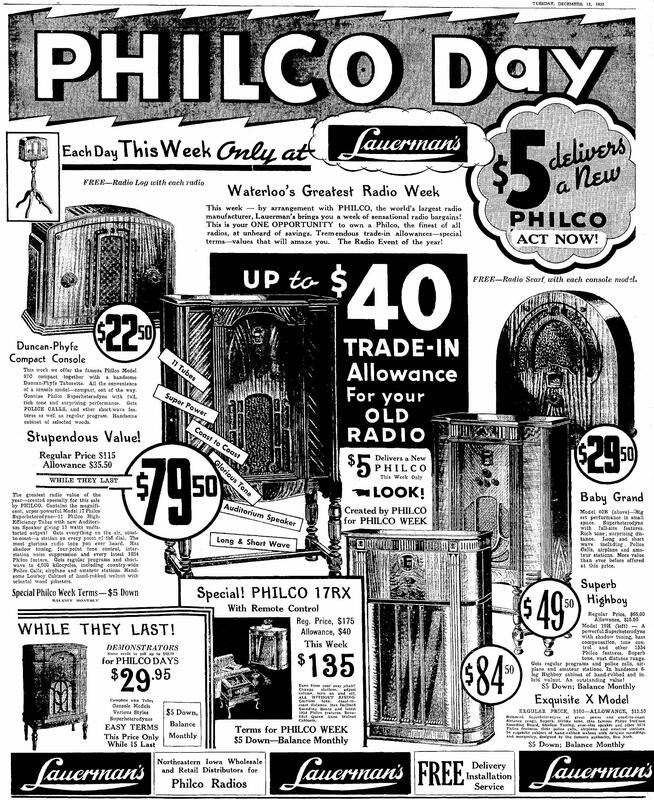 Only with PHILCO RADIO can you realize the joy of living.